WINTER is officially upon us, and we are not afraid to admit how demotivating it can be. No one really wants to get up at silly o'clock in the freezing cold to go for pre-work gym session or leave work as night falls at bloody 5pm to go for a cold, long run. But, what pushes us to actually do it is the energising feeling we get after it all, that after sighing for half an hour about the cold you realise this is only going to take one hour out of your day and yes, in the end, the benefits will outweigh it all! And you know what else is a massive help? Having someone else to do it with and hearing other people's story to give you that drive. We will never be Winter Vinecki, who aims to run 7 marathons in 7 continents before the age of 15 (!!) but we have to start somewhere right? As marathon season quietens down over the new few months, I think it's an important time for us to keep highlighting the people we find inspiring on Food & Lycra. Not only will they get to share their stories, but we get to hear them and hopefully it will push us out the front door no matter the weather! The new year is fast approaching, and resolutions are going to be set. Without a doubt many will be fitness and health related, why not start here by reading these stories to see if you want to set yourself a challenge or goal for next year? And here is another great story to add to the list! 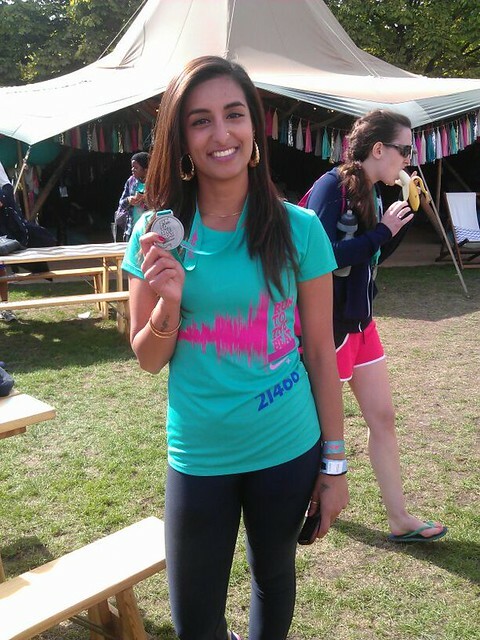 On September 8th, one of our best friends, Vash, completed her first ever half marathon at Run to the Beat. No 10k races to ease herself into the world of running, straight into the deep end with a tough 21km! 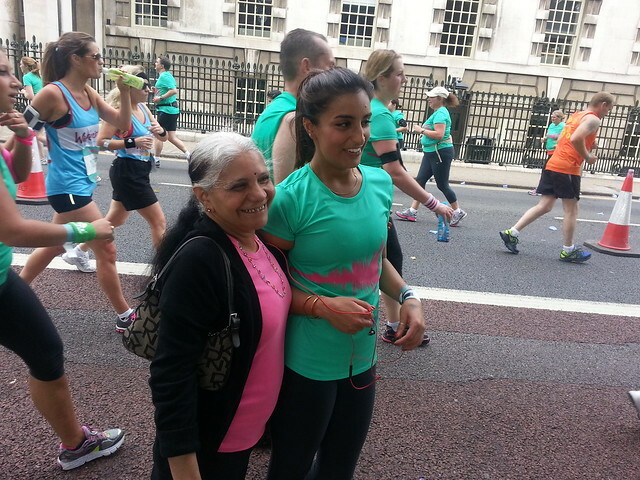 I got convinced by our friend Selda to do the Run to the Beat Half Marathon. Now if you know me, then you know I am the laziest one out of our group. Getting me to leave my house once I'm in my pyjamas is a myth - it's not going to happen! So, actually signing up and committing to running a half marathon was going to be a tough challenge, I was literally going from zero to 21km in almost no time. I didn’t get to run regularly with the Food & Lycra gang prior to me signing up, so I wasn’t exactly prepared for it either. Running has never been one of my strongest points as I have always struggled to control my breathing technique, stopping me from enjoying a run. I would end up having mini heart attacks and would have to stop to catch my breath. Even after I signed up for the race I didn’t make any effort to start training for it. I guess you can say I was avoiding it and it just hadn't sunk in. I had just under two months at this point, when Rachel and Jahira kind of told me what time it was and gave me a reality check. They told me to join RunDem Crew as a way to train for my half marathon and to keep up a regular schedule. I didn’t want to join so I threw a mini tantrum saying I don’t want to do this half marathon blah blah. But the reality was, I already signed up, paid for it and committed to Selda that I would do it, there was no going back without letting a whole bunch of people down, and losing £50! 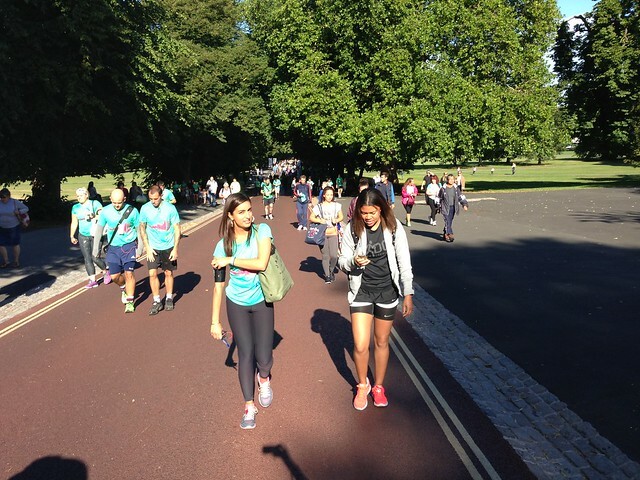 The girls also made it sink in that running a half marathon without doing any sort of fitness training would just make the running experience more difficult. I didn’t give an answer then, but later on I messaged them and agreed to join RunDem crew. I joined and told myself I wasn't going to give up because my friends had faith in me and believed I could do it, even when I was doubting myself. They had so much faith in me that I couldn't let them down! So I decided to sacrifice my Tuesday evenings of Indian soaps and go running instead. I was slightly nervous about joining RunDem crew because I thought I would be like the new girl in high school. But I was wrong. Everybody is so nice and friendly, and everybody gets along (I see why they hash tag crew love now). Laura stayed with me and supported me. I went every week and started to enjoy running. On race day I completed my First half marathon in 2hours and 36mins with Emma. Not bad for my first. I did find it difficult especially during the last mile. My knee was hurting slightly but I discovered a pattern: the more I would stop, the more tired I would get and the more it would increase my knee pain. With Emma by my side, we managed to keep pushing each other towards the finish line, and telling ourselves that we shouldn't stop running! We struggled here and there but it wasn't as bad as I expected it to be. I'm happy I finished it and wouldn’t have been able to do it if my sisters didn’t encourage me the way they did. It will not be my last for sure. Maybe Disneyland half marathon next? !